Over the past 7 or so years, I’ve created 4 websites. 2 of those were complete flops. And I deleted them a few weeks after I created them. 1 of those websites I created for an organization in college before I had any clue about what platform to use and what SEO even was! And the last website I created is the one you are on right now: TheContentBug.com. But I’ve got to say, even though this was my 4th website, and I thought I knew what I was doing when I created it, I sure made a lot of mistakes. Simple mistakes actually that could have been avoided if I did more research first. So today, I want to break it down for you and talk about how to start a website the right way! Because trust me, there are a lot of wrong ways to go about it. And some of those might actually cost you hundreds of dollars… like mine did. When I first started with building websites, I used platforms like Wix and Weebly. And I did that for the first 3 websites I built. At the time, I needed those sites to be free because I didn’t have the money to commit to a paid website. But now I know, that this is exactly why those websites weren’t successful. Since I had no money attached, I wasn’t committed to the follow through. It was easy for me to quit and give up in a few weeks. And thankfully I did because those websites weren’t going to be any good anyway! The biggest perk to free website platforms is that they are easy to use. You can just plug and play and do whatever you want to your website. But with this, comes terrible SEO! You can’t optimize your site, even if you tried. And if you implement some SEO best practices, Google doesn’t trust those websites as well anyway. So it’s kinda a waste. It’s better to just make the commitment and go with a paid platform so you are committed, you can SEO your website, and you can pick your own domain! When I created my 4th and final website, I knew that I needed to use WordPress to avoid all the problems that come along with the free platforms we just talked about. But when I did this, I didn’t know that there was a difference between WordPress.com and WordPress.org. And this was a HUGE mistake on my part that ended up costing me a couple hundred dollars. To say the least, when I found out, I was ticked! But there was nothing I could do because my domain was on hold for 90 days until I could transfer it. So I waited. And now, I have a WordPress.org site and I could not be happier! When I started this website, I did not have a plan! My domain was actually bought on an impulse. In 1 night I came up with the idea to start a website. And that night I bought a domain. It was insane. And it ended up working out really well for me. But if you want to take your website seriously, then I would recommend that you create a little bit of a plan first. What’s the purpose of your website? What’s your domain going to be? What platform do you want to use? What hosting server are you going to use? What content are you going to provide? What’s your slogan or the main catchphrase describing the website? All these things are important! And before you start a website, you don’t need to have them all figured out. But you should at least have some of them so you have some kinda plan from the very beginning! 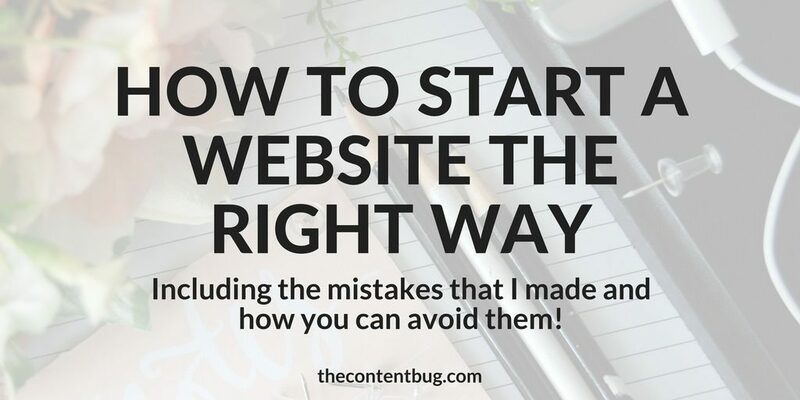 Now that you know some of the mistakes that I made while creating 4 different websites, it’s time that you learn the right way to start a website. So are you ready to dive all in with me?! There are a lot of platforms out there for you to choose from. Like Blogger, Squarespace, Wix, Weebly, WordPress.com, and WordPress.org (or self-hosted WordPress). And if you read the section above, then you might already have a good guess on what platform I would tell you to use. WordPress.org is the way to go! ALWAYS! A lot of bloggers and website owners start their website on another platform because they didn’t do all the research. And then they end up switching it to a self-hosted WordPress site later on. So if you want to start your website the right way, then you need to start with a WordPress.org site. It will save you a lot of stress and hassle later on. And it will actually save you a lot of money! So now that we’ve agreed that WordPress.org is the best option out there (because it is), I’m going to run you through the steps of how to set up a WordPress.org website the right way! If you couldn’t already tell, my website is a WordPress.org site. And trust me, you won’t regret choosing this platform. The main difference between a WordPress.org site and a WordPress.com site is that WordPress.org is a self-hosted version. That means that you have to go out there and find your own web hosting server! But don’t let that scare you away. If you decide to use WordPress.com to start and think that transferring to WordPress.org is easy, I’m here to tell you that it’s not. And I know…because I’ve done it! So don’t go running to WordPress.com and thinking it’s the same thing! It’s not! You need to find another hosting service to be the home of your website. And I highly recommend using Bluehost. It’s great for hosting and you can even buy your domain through them. And the best part is that it’s cheap and has a 1-click WordPress install option so you can get started immediately! 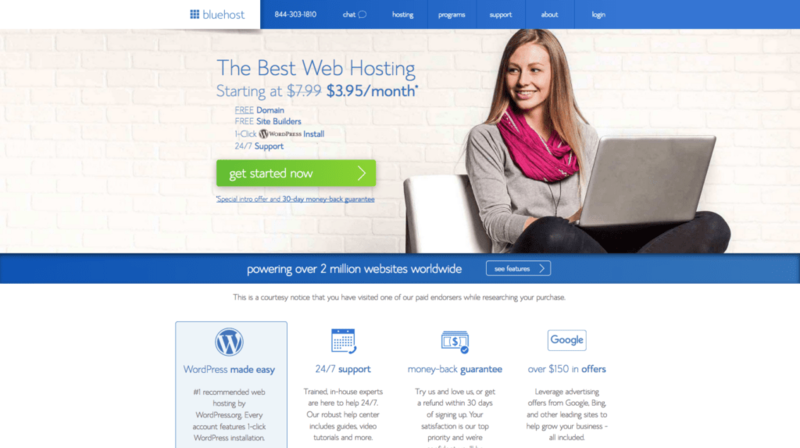 If you can commit to a couple bucks a month for your website hosting, then Bluehost is the way to go. There are also other options out there like GoDaddy and HostGator. So do your research before you pick what hosting service you are going to use! Each provides different benefits that might be important to you. But don’t buy a hosting service just yet! You need to keep reading so you don’t buy something that you don’t need! When I bought my domain for this website, I just came up with an idea and I bought it. I didn’t do any research. I didn’t know if there were other similar domains out there. I just did it. And now I know that this was a huge mistake! About 2 months after buying my domain, I decided to Google “The Content Bug”. And everything that came up in search was negative! Because on the internet a “bug” is a bad thing! And when it’s tied to content, that’s another bad thing. So to say the least, I learned a lot from this! And now I’m here to tell you that you need to research your domain before you buy it. 1. So you know that it’s available for you to purchase. And 2. So you know if there is any negative talk around that domain and what your competition is on Google. Then, once you have your domain idea, it’s time to finally get started! 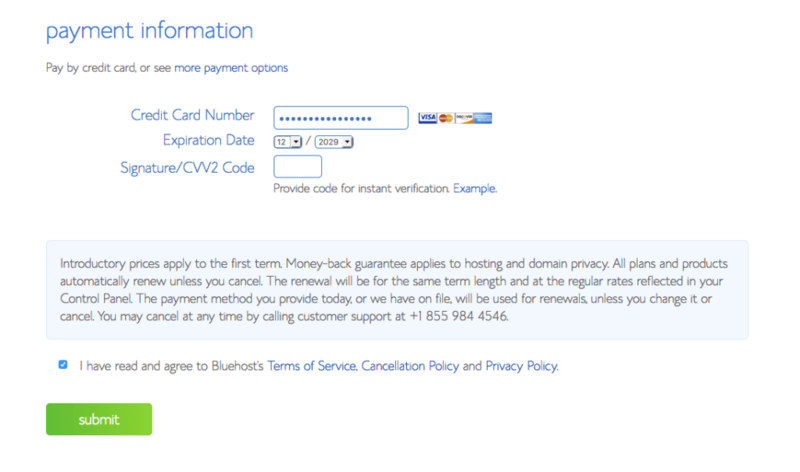 If you want to get started with Bluehost, go ahead and click here to create an account today. This way you can follow along with me for the rest of this post. While you are creating your account, you’ll choose your hosting package and install WordPress. It’s pretty simple! And that’s one of the reasons why I love this hosting service. These are the packages you get to choose from. Since you are a website newbie, I highly recommend that you choose the Basic package. It’s less than $4 a month and has everything you need to get started! Then, once you start to generate more website traffic and want to take your website a little bit more seriously, then you can upgrade to a Plus or Prime package! But I would wait to make the move until a little later on. You already did the research for what domain you’re going to use, right? So now it’s time for you to officially choose your domain and purchase it! But before moving forward, there are some things I want you to think about. This domain is something that will stick with you for years to come. And this is a domain name that you are going to associate with for years! So make sure you really think about that domain name. Does it accurately represent what my website is about? Does this domain accurately represent me, my blog, or my business? Take the time and really think about it. And while you’re at it, check social media too. Are there accounts out there that use your intended domain as their account handle? This could cause some serious confusion for your audience! So make it unique. And make it represent you. Now let’s get keep moving! 6. Enter your information, pay, & set up your account! This step is pretty straightforward. Just follow the instructions given to you by Bluehost. 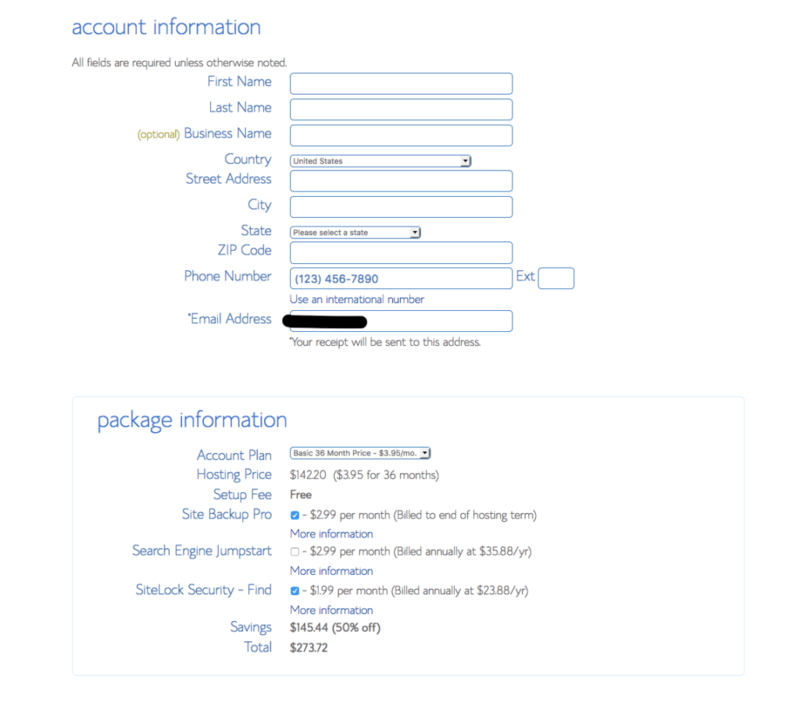 The first thing you’ll be asked is for your account information and what package you want to buy. 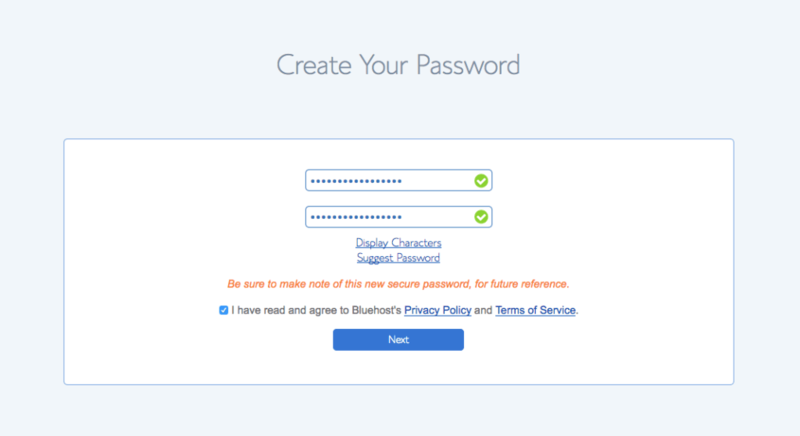 And finally, you get to select your password that you’ll use to access your Bluehost account in the future! Click create a password and enter the password you would like to use! What I recommend is writing this password down somewhere! I’ve got a lot of passwords, so it’s important to know what your password is especially for important sites like your hosting site! Now that you know your domain, it’s time for you to start setting up your website. So I’m going to walk you through the steps of how to get started with your new WordPress website! 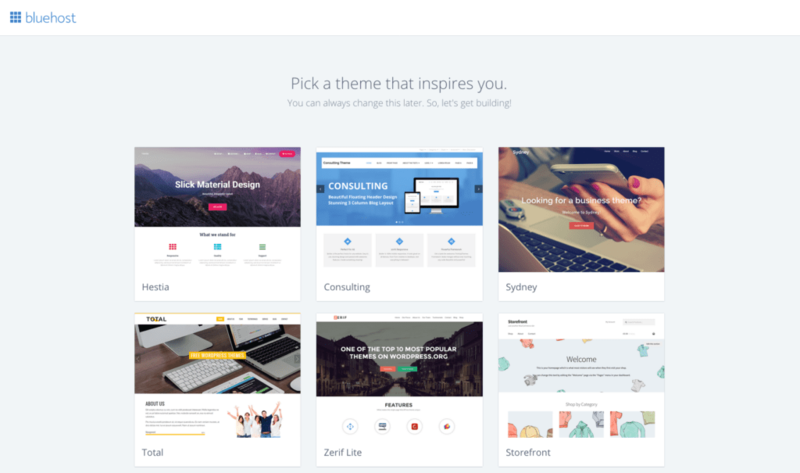 Before you can access your website, they recommend that you pick a theme! I’m going to walk you through how you can pick a theme in the WordPress dashboard a little later in this same blog post. So simply select a theme right now to keep moving forward with your set up! You can change this later so don’t stress too much about selecting the right one right now. Once you select a theme, you’ll see a success page! 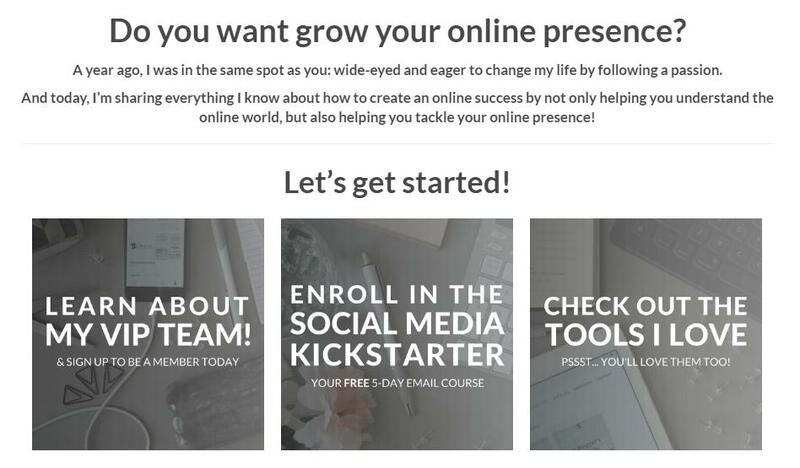 Go ahead and click on the Start Building button to get started with building your website! 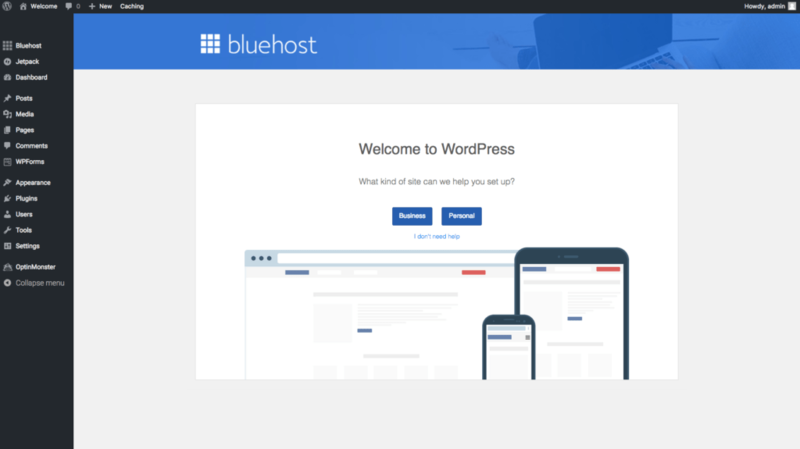 Bluehost will redirect you to your WordPress dashboard. And you should see something that looks like this. 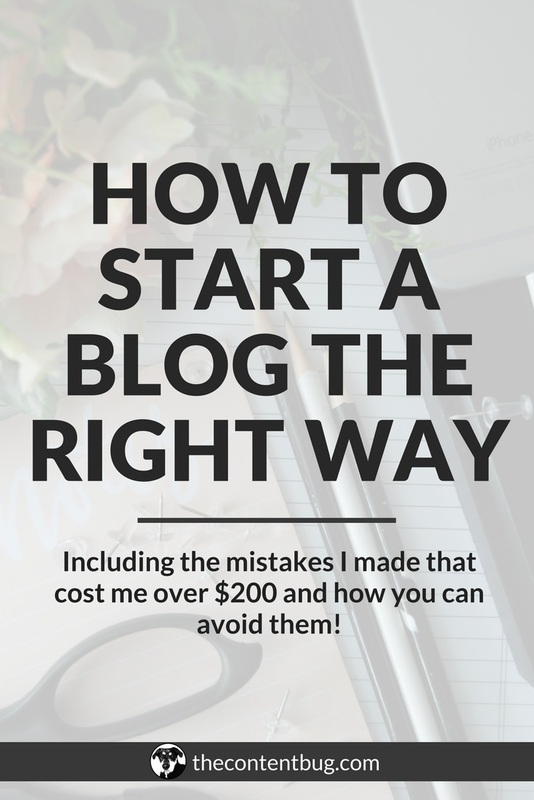 If you want a tutorial/walk-through of how to set up your blog, then you can go ahead and select Business or Personal like they recommend on this page. I’m the kinda person who just liked to figure it out on my own so I wouldn’t follow their guide. Instead, I would get out of this menu option and I would start messing around with the themes to pick the one that you want! But before you do that, CONGRATULATIONS! You now have a new WordPress.org website! So let’s get designing, shall we? 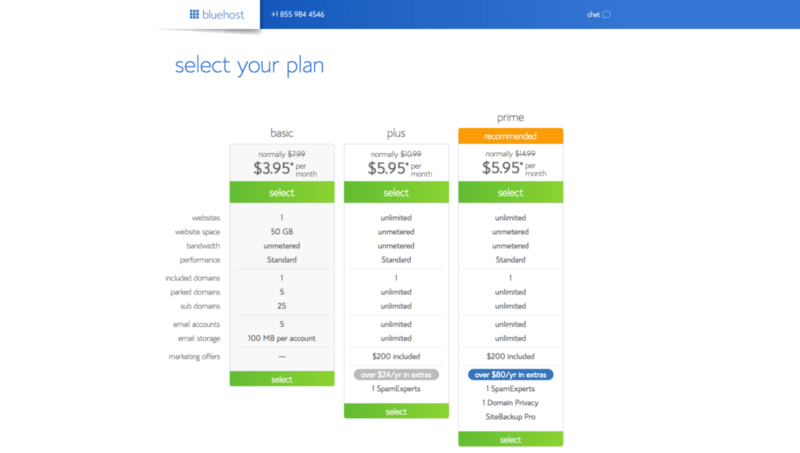 Anytime you want to edit or update your website, you won’t go to Bluehost. 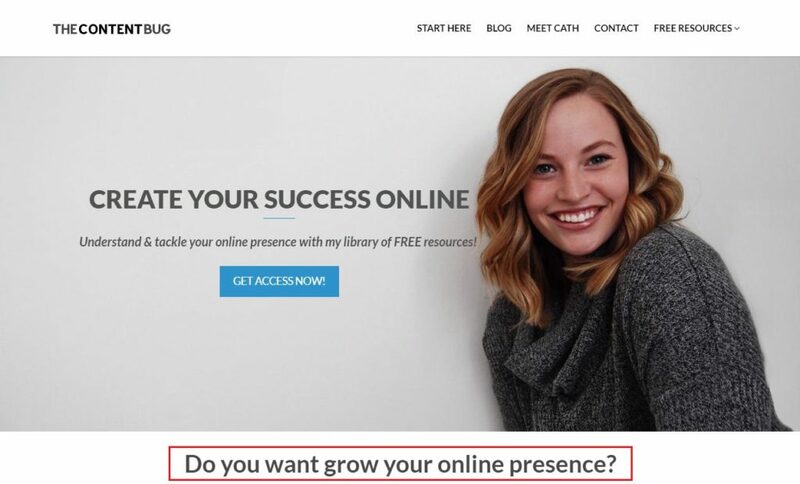 You’ll actually go to “yourwebsite.com/wp-admin/”. So whatever your new domain is with “/wp-admin” attached to the back! Just enter your username and password that you just created on Bluehost and log in! 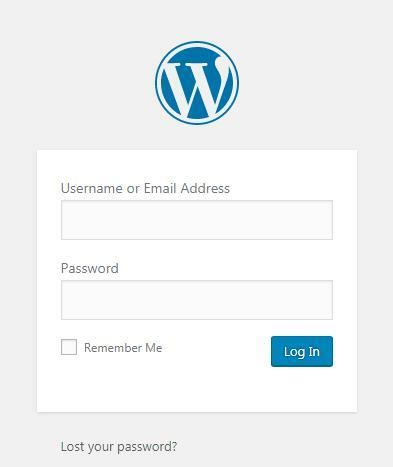 You can go ahead and save your information so that WordPress will remember you. Or you can enter your information every time. That’s up to you. This will soon become your new best friend. So feel free to play around and see what it has to offer. Now it’s time to start designing your website into the website of your dreams! 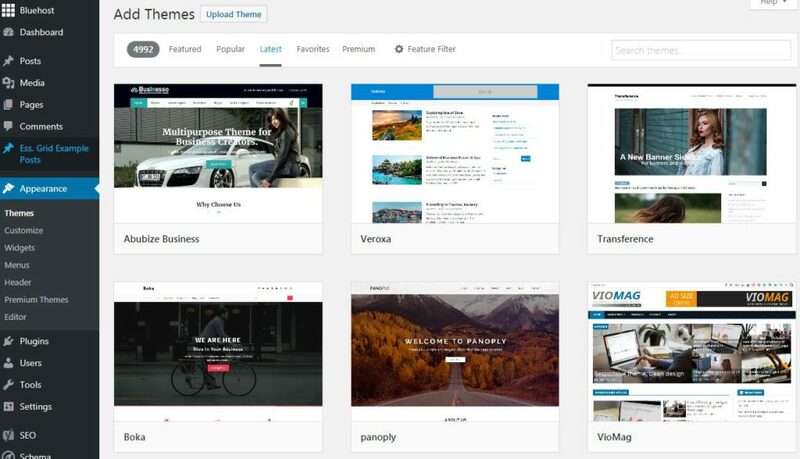 With WordPress.org, you can use external websites to find unique themes to use for your website template. I’ve used TemplateMonster before, and it’s actually pretty easy. Just make sure that you are looking at WordPress templates! Now, this option is great, but it costs you extra money. So what I recommend doing is picking a theme provided by WordPress. On the left-hand side of your WordPress dashboard, you’ll notice your menu. In this menu, go ahead and click “Appearance”. Then select “Theme”. And start looking for theme options! Each person is different. And each website is different. So what theme you choose is completely up to you! But with WordPress.org, you can customize your site to make it one of a kind! Some themes are particular about what colors are available or the font. But some of these things can be changed with custom CSS! I recommend that you find the WordPress support group for your theme so you can learn how to customize your site. So start playing around and find a theme that works for you. And if you don’t like it, you can change it in a few days! But don’t constantly be flip-flopping with your themes. Pick something and stay with it! It can change in time, but you don’t want to lose your audience by confusing them every other week. Your Home page is your first impression. This is what’s going to capture people and lead them through your site. So this page better impress! And I’m going to help you get started with the basics of what your home page needs. Let’s take a look at my website. This is what we digital marketers like to call your “top fold” or “above the fold” section of your website. This means, without even scrolling, what is immediately seen! And this is the area that is most important. And the area that you really need to focus on. At the very top, you need a menu bar. Something that is easy for your website visitors to understand and navigate. One of my favorite things about my website is that even when you scroll down, my menu stays at the top of the page. So navigation is super easy for you guys! It’s also important for you to include your logo or name in your menu bar or header of your website. This way your visitors will see it a lot and remember you! Next, you need a captivating call to action! You only get a couple of seconds before your website visitors decide if they are going to stay on your website or move to another one. So at the very beginning, you need to get people moving! And that means that you need to include an immediate call to action! On my site, that call to action is to sign up to get access to my free resource library. And I do this for a few reasons. 1. Because it gives people immediate value. They see from the very beginning what I have to offer and they get a great benefit from my site from the very start. And 2. It allows me to capture leads! When people click that button and sign up to get access to my free library, they have to give me their email address. And having your visitors email address is HUGE when trying to make a success online! So this is seriously a win-win in my eyes. So try to think of an immediate call to action that you want to include on your website. Whether that’s a get started option to learn more. Or read your blog posts. Or sign up for your email list! Whatever it is, make it good. And make it enticing. The last area that you really need to focus on is the lead into the below-the-fold section! And this is going to vary based on the template that you choose for your website. But in this area, it’s important to get people’s attention to keep scrolling. So this is your chance to give your website visitors another option. If they didn’t click on your call to action, and they didn’t immediately select something on your menu, then this is your spot to keep their attention and tell them more! So go ahead and tell them more! I go on to include 3 more calls to action to really get people moving. And then if that’s not enough, then I start to direct them to my content to start learning more. Again, this provides my visitor with immediate value. I’m not trying to sell them something from the beginning! I want them to trust me so that later on, they might complete a conversion. Once you’re happy with your Home Page, then it’s time to start honing in on the content of your website. So you need to think about what you are going to say on your about page, contact page, blog page, and every other page on your website. This is important! And you shouldn’t just be shooting in the dark here. So really think about it. Take the time to establish your voice, create your message, and captivate your audience. And if you do it just right, then you could turn that visitor into a long-term follower. And isn’t that the end goal? But I’ve got something even better for you! I created an online course called Start Bloggin’ that covers everything you need to know about how to start a blog and set it up for success from the very beginning. 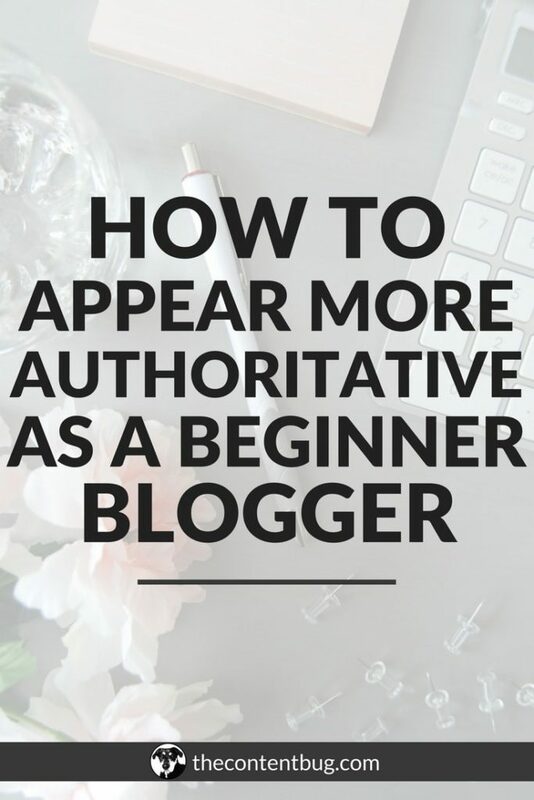 Learn more about this beginner blogger e-course by clicking the image above. Well, my friends, I think that’s just about it. We’ve covered a lot of information. And I think this post is long enough. So go ahead and play around with your website! And if you need any help with understanding WordPress, I recommend you head over to YouTube and watch some videos. Or feel free to shoot me an email and I’ll try my best to help you out! Until next time, website superstar!